Well, it’s that time of year again. It’s the end of the year. That means that we can pull out all of our cute sweaters and scarves, we can dust off those soup and gumbo recipes (I’m from New Orleans. What can I say? ), and we can start preparing for the holidays. This is the time of year where families begin to make travel arrangements. We know that it’s a time where we can see old friends that we hadn’t talked to since last year. Aunties begin to pull out the casserole dishes, grandpas get ready to make their famous deep-fried turkey, and mama makes sure that there are enough desserts for the whole family to enjoy. It’s the time of year where we expect to eat unhealthily, need to unbuckle our pants at the dinner table, and gain at LEAST 10 pounds before the ball drops. And we love it! We can’t wait for it. Many of us live for it. But what if there was something different out there for us? What if we can have all the fabulous taste that we crave for the holidays but with none of the dinner table sleepiness. What if we could have all that and gain NO weight during the holidays? Maybe we could actually DROP a few pounds… wouldn’t THAT be something? Well, it really is possible! It won’t happen overnight, but it can happen. All it takes is a bit of a mindset shift and a few tasty recipes to put on the table next to your aunt’s casserole. The secret is in the sauce. Yup! It’s that simple. It’s all about the sauce that you put on your veggies that change the entire mode of the dish. Whether the salad makes you think of sunshine and butterflies, or it reminds you of pumpkin carving and plush sweaters all depends on the recipe you use for your dressing or sauté. About a year ago, I decided that I wanted to do an extended water fast (yes, that means nothing but water for days at a time. No, I’m not nuts.). After the water fast, I decided that I wanted to eat a raw food diet for an extended period of time, but I know me. I knew that I’d get pretty bored with it after a few days, so I had to think of ways to spice things up. But I also didn’t want to spend an arm and a leg trying to do it. I remembered that a classmate of mine made a VERY simple salad dressing for me some years before and it was really good. Did I mention that it was simple?? Well, she drizzled some olive oil on the salad. Then she squeezed a lemon on top of it. Finally, she sprinkled some salt and pepper on top of that. FINISHED! (see… I told you it was simple!) This got me to thinking. If that dressing was so easy to make, how many other dressings out there were just as simple? I was on a mission! What I found was that there are literally HUNDREDS of salad dressing recipes that can be made in just a few minutes with the ingredients from your kitchen. Things that are already in your freezer, refrigerator, and pantries can be pulled out for a quick dressing that can make your next meal a culinary experience. If you feel like you want to go to the islands, there are dressings with tropical fruit. If you want an Asian-inspired salad dressing, you can have one with sesame oil and soy sauce as a starting point. And if you want a salad that reminds you of the holidays, you can make one with cranberry sauce or pumpkin puree and nutmeg. I found out that most dressings take less than 10 minutes to make (most only take about 5 or so minutes) and there can be a different dressing at each meal. The BEST part is that it only costs pennies – especially when you think about the fact that many of those “specialty” dressings in the produce section of the supermarket can cost $5-8 each. SHEESH! But, you can make many of those for a fraction of the cost. 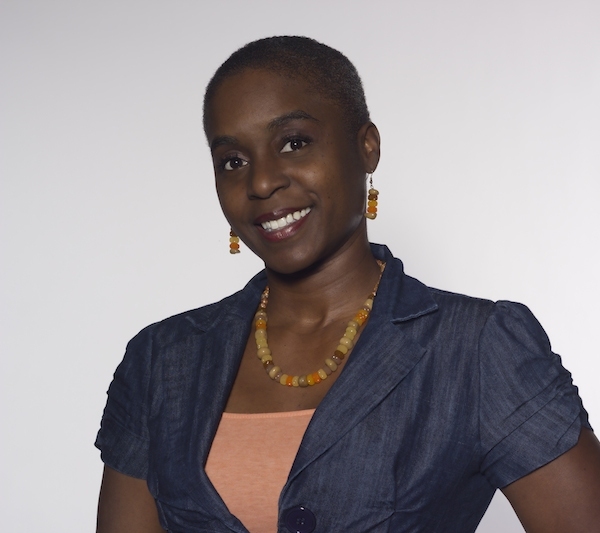 All you have to do is allow yourself 10 minutes, and be willing to explore. Add all the ingredients to a blender or food processor and blend to desired consistency. Tastes GREAT on Kale Cranberry salad!!! Try that dressing out. See how you and your family like it. Check out how easy it is to make! 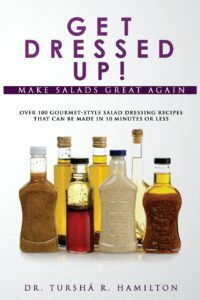 If you really like this recipe, and would like to explore even more of them you can check out my book, “Get Dressed Up! 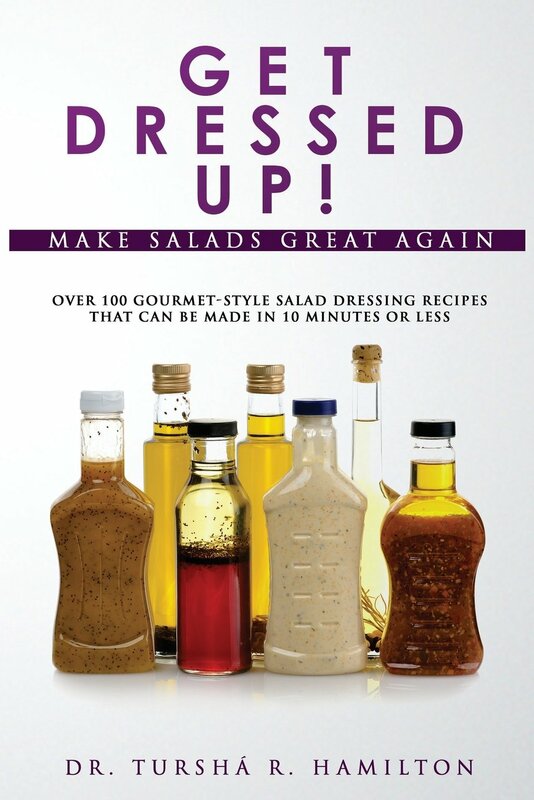 Over 100 Gourmet-Style Salad Dressing Recipes that Can Be Made In 10 Minutes or Less.” You can go to www.DrTursha.com/Dressings for your copy of the eBook or the soft cover book. And don’t forget your family! If you know of someone that is trying to live a healthier lifestyle, someone that wants to get rid of some excess weight, or someone that just really enjoys cooking and exploring new recipes in the kitchen, this is the PERFECT gift for them. Remember: Holidays can be healthy AND delicious!! !